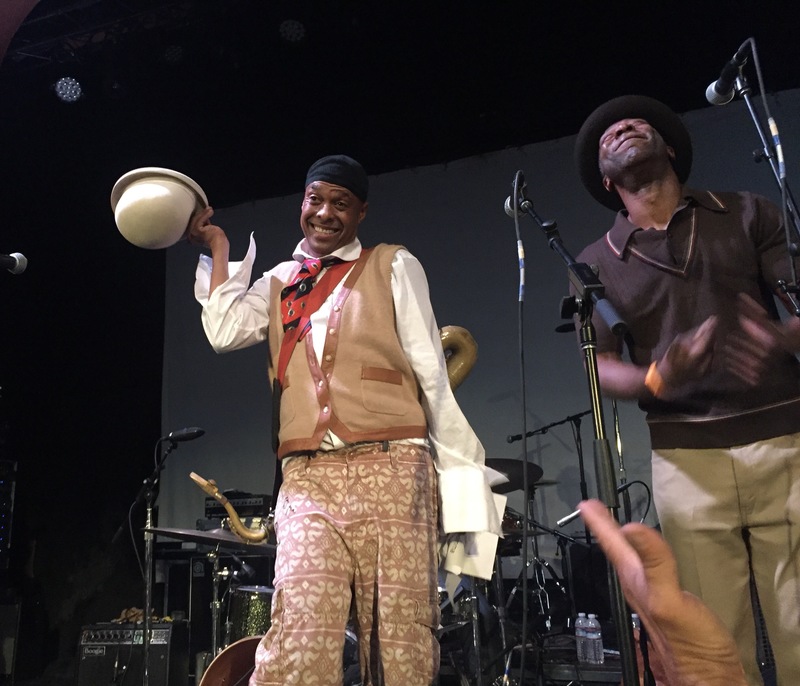 I recently had the pleasure of sitting down with music legends Angelo Moore and Norwood Fisher of Fishbone before their concert at SLO Brew in San Luis Obispo, California, to pick their brains about a wide variety of topics. A few months ago I had interviewed The Selecter (see here) and during opener Delirians‘ set, Angelo was a surprise guest, having jumped on stage and livened up the already hyped crowd (see pics below).When I heard that Fishbone would be playing in my neck of the woods, I similarly jumped at the chance to chat with them. Even as a young music fan decades ago, I was aware of Fishbone having been at “ground zero” (pun intended) in the burgeoning Southern California punk scene in the late 70’s and 80’s, rubbing elbows with countless other influential artists in a variety of collaborative ways. Like many people my age, I also remember watching their captivating live performance on Saturday Night Live back in 1991. I was also familiar with their “genre-bending” style that has made categorization of their creative output difficult at times (ska? punk? metal?!). Yet, their elusiveness in being boxed in with easy categorization is perhaps the trait that makes them so intriguing to me. 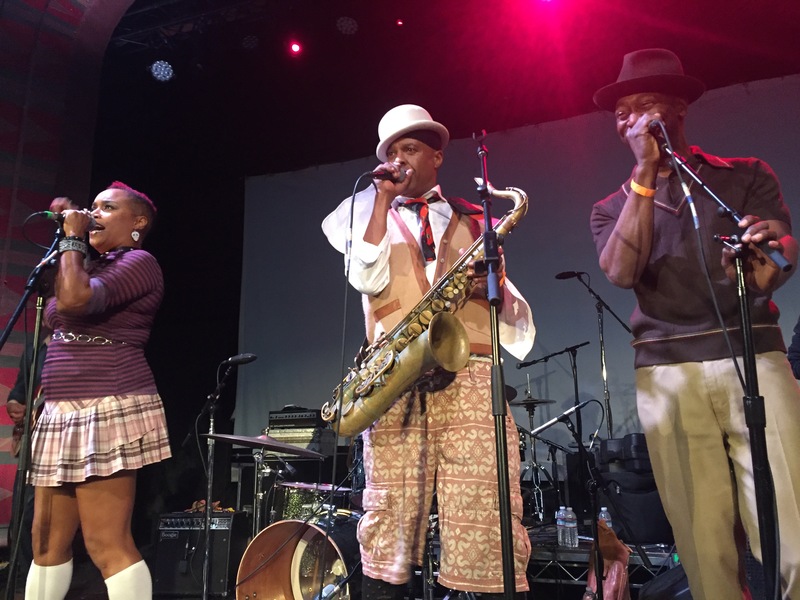 Few musical artists out there can claim the extensive laundry list of collaborative projects and output that Fishbone’s members have, having worked with the Red Hot Chili Peppers, Little Richard, Primus, Perry Ferrell, Beastie Boys, Tool, Alice in Chains, George Clinton, Screaming Jay Hawkins and countless others through the years. Always true to themselves, Fishbone has trailblazed musical boundaries for nearly 40 years with no apparent sign of slowing down or being boxed in creatively. I was quick to discover just how much candor and musical passion permeated these two gentleman. Displaying a vast musical knowledge, humbleness and keen recollections of their formative years, Angelo and Norwood would ultimately share their unique perspectives in what was to become one of the more enlightening interviews I’ve done in quite a while. Our 33 minute in-depth interview covered a wide variety of subjects, some lighthearted and others quite serious (race relations, the political state of the world, human rights, etc.). So go get yourself a drink, make some popcorn, get comfortable and strap yourself in for a fun ride, Fishbone style! Going on nearly 40 years now, it’s clear that there’s no sign of osteoporosis in this ‘Bone! To stay up on all the band’s latest projects, check out www.fishbone.net.